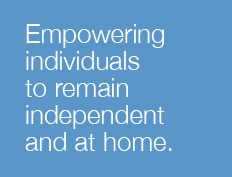 Why Choose Continuum Home Health? As a not-for-profit company, Continuum Home Health focuses on the needs of our patients and our community. Our mission is to provide comprehensive home care services that enable persons with medical or psychiatric home care needs to live as fully and as independently in the community as possible. We seek to improve awareness of personal strength and minimize any sense of isolation. 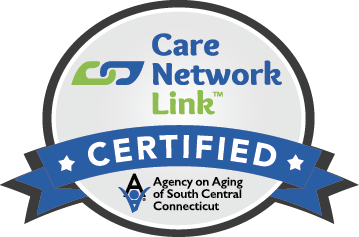 Continuum Home Health prides itself on the quality of its nursing, rehabilitation, social work and home care staff, which is comprised of more than 70 women and men representing a wide range of ages, races and backgrounds. The company has a high retention rate, and many employees have been with Continuum Home Health and its sister organization, Continuum of Care, for more than a decade. All our home health staff have been fully screened and have extensive experience, with a rigorous training program that includes a mentoring program and ongoing education. Continuum Home Health employees are trustworthy and loyal home care professionals dedicated to providing quality, dependable care to our patients. Continuum Home Health has staff on call 24 hours a day, seven days a week. Home care scheduling is flexible, including evening hours, and we have an array of emergency procedures, including a plan for inclement weather. But Continuum Home Health offers more than just home health care. Our specialists can help you navigate the medical heath care system, including obtaining referrals and insurance authorization if needed. We offer financial counseling services to assist our patients and their families with entitlements and other issues. Our employees use a team approach that maximizes efficiency through frequent communication. In addition, Continuum Home Health utilizes community supports and works with outreach programs such as Meals on Wheels and MyRide. When you call Continuum Home Health, a home health care specialist will listen to you and answer your questions. This conversation is followed by a personal assessment by a home health care professional in the privacy and comfort of your own home, usually scheduled within 24 hours. You will find out what to expect given your condition or that of your loved one. Continuum Home Health provides a smooth transition from hospitalization and is capable of handling patients immediately upon discharge. We can even come to discharge planning sessions, especially for complicated cases. We will address your issues and concerns and explain how our home care nurses and other services can assist you. In close cooperation with your family, we will build a comprehensive and personalized home care plan, subject to your doctor’s approval, that are customized to meet your loved one’s specific healthcare needs. You can trust Continuum Home Health care to take charge of your situation and coordinate everything, all with expertise and compassion.